Ferronerie Verte - Mediterranean charm with a modern look . 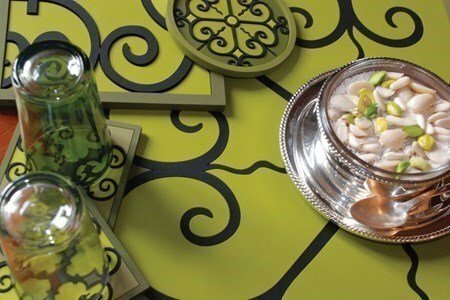 Shades of green and oriental design, that will give a touch of refinement and color to any table. Functionality is the key word. In very malleable PVC, with a beautiful pattern. A contemporary design in tribute to past civilizations's legacy. Embossed details that give a different look to your desk, both vintage and futuristic.